Dennis Kennedy has an unwavering passion for people and works to ensure that all individuals receive equal opportunities in the workplace regardless of race, ethnicity, gender, religion, age, physical or mental handicap, physique, gender identity or sexual orientation. 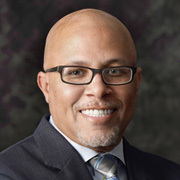 In 2004, Mr. Kennedy walked away from his job to start the Texas Diversity Council, www.txdc.org. Mr. Kennedy is currently working on his book titled, CreatingYourSignificance™, which is a unique self-marketing strategy that will allow you to create a successful personal brand. The book is slated for publishing on January 2nd, 2013.